Communication is the key to keeping our children safe. It is good to start the habit of talking regularly to your child about keeping safe. Rather than having a serious, scary discussion about all the terrible things that might happen, it is better to have lots of smaller conversation as topics arise. You may hear something on the radio or TV that sparks a discussion. During these talks it’s a good idea to focus on what a child can do in a situation rather than on what might go wrong. 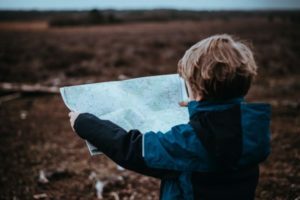 Talk to your child about their right to be safe and help them think of at least three different adults they could go to if they were ever worried about something. 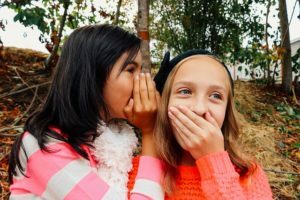 Discuss secrets- a safe secret might be a surprise birthday party and these are fun, but an unsafe secret might make you feel worried or scared and no one ever has to keep these kinds of secrets. Let them know that their body belongs to them and no one has a right to touch them in a way that makes them feel uncomfortable. Listen to your child regularly. It’s not always easy to find time to listen to our children in our busy lives. Try to find the time to regularly ‘check in’ with your child, whether this is as you are driving home together, at dinner or bed time. This will allow your child to get in to a habit of talking things over with you. If your child does tell you something of concern try not to over react but try to empower your child to solve the situation.